MAKE YOUR LIFE TASTY ! Top Wok is located at 141 Barrack Road, Christchurch. 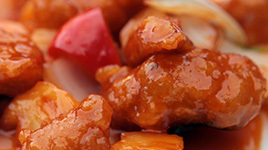 Established since 1995, we are the first open plan kitchen and multi times Award winning Chinese takeaway in the region. As numerous time winners of Best of the Best Award in Best Asian Food category, we pride ourselves for providing our customers high quality foods and service. 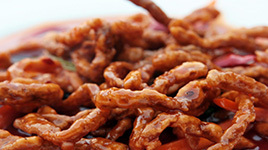 We at Top Wok pride ourselves for providing our customers wide range of oriental foods. We are the first Chinese takeaway in the region to introduce meat alternative “veggie Chicken” to our vegan/vegetarian customers since 2001. 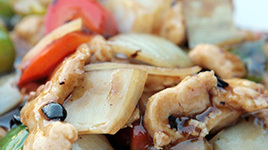 “Veggie Chicken” is a meat alternative, made from soy protein or tofu and other natural ingredient. 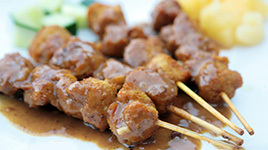 Over the years we have developed extensive range of delicious Veggie chicken dishes. Our Thai dish section also proven to be a hit to our customers such as Pad Thai, Gang Dang and Gang Kaew Wan dishes. 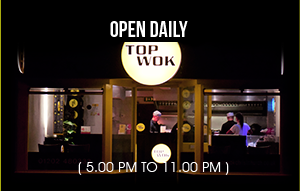 With over hundreds of dishes to choose from, Top Wok is your only choice of oriental meal night! All our dishes are made with authentic, fresh ingredients and where possible always locally sourced. 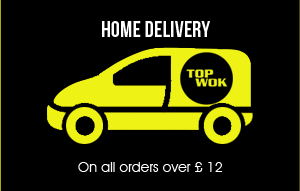 At Top Wok, you can order great food at a click of mouse from the luxury of your home. With our convenient online food ordering system you can convey your orders accurately directly to our kitchen. 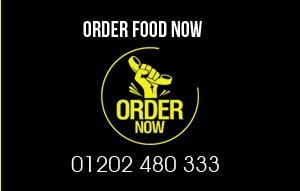 We have a simple one screen menu from where you can select food dishes that has to be orderd. Pay online through secured credit card processing and we’ll message further by bringing delicious food. Simple Isn’t it? And yes, you’ll save great accounts over this as you’ll also be informed about our promotional schemes running from time to time.